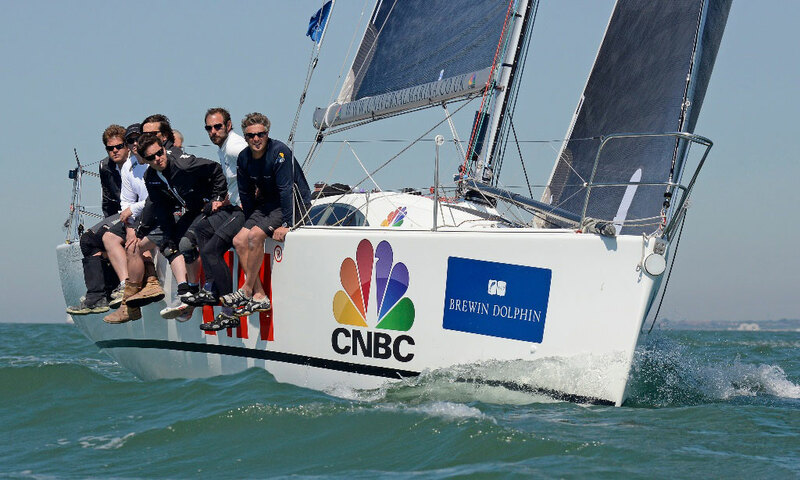 Land Rover BAR tops the leaderboard overall thanks to a hard-fought victory at the Louis Vuitton America's Cup World Series event in Portsmouth. "It was awesome to win at home, it's obviously the key event of our year. It is like Wembley for us." Those were the triumphant words of Nick Hutton, the trimmer aboard the winners, Land Rover BAR, at the end of a gruelling second day of racing at Southsea, just outside Portsmouth Harbour. And, after Ainslie's win there last year, it does feel as though Southsea has become the Wembley Stadium of sailing. 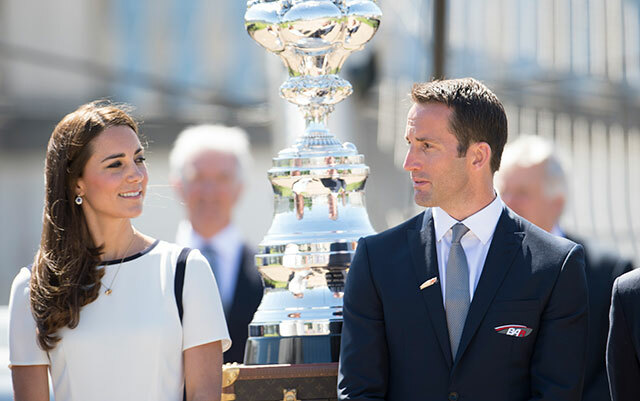 Just one month on from the upheaval of Brexit and on the same weekend that Lewis Hamilton finally took the lead in the Formula 1 championship, Ben Ainslie won for the second year running in front of a huge paying crowd, taking the lead overall in the Louis Vuitton America's Cup World Series. 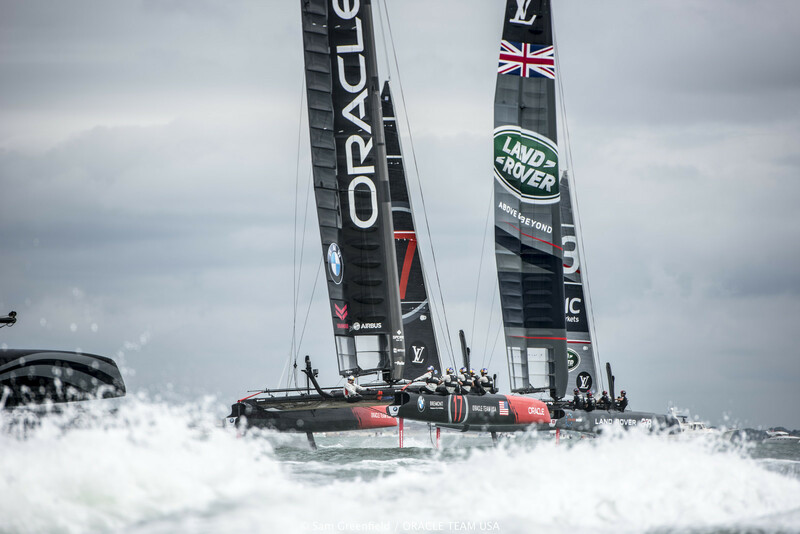 Land Rover BAR prevailed over Oracle Team USA by a single point after six races over the weekend at Louis Vuitton America's Cup World Series Portsmouth. 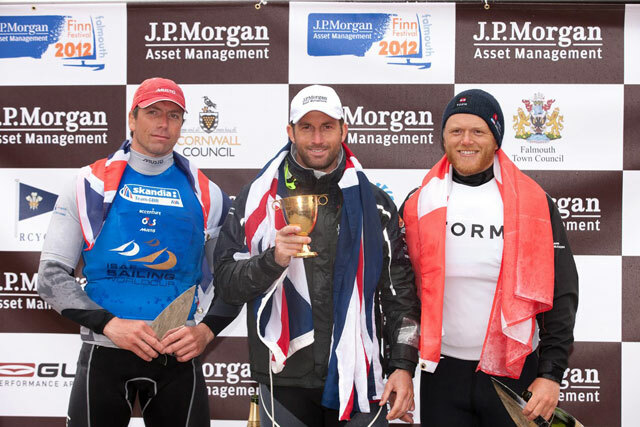 Ainslie was simply superb all weekend taking three race wins and two seconds. Considering his daugher, Bellatrix, was born just six days prior to the race start – the perfect excuse to take his foot off the pedal – he absolutely nailed this event despite Oracle Team USA also having its best event of the series. Spithill would have loved to silence the crowd with overall victory, but he may well need a faster boat to beat the Brit. 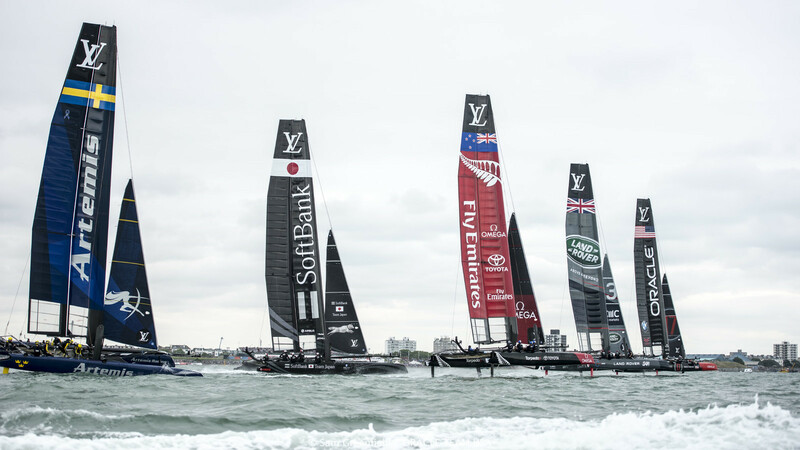 Softbank Team Japan took advantage of the changes of helmsmen aboard Emirates Team New Zealand and Artemis to take third place, while the French struggled in the breeze on day two undoing all their good light-wind work from day one. The 2016 Portsmouth America's Cup event itself was more compact this year, although the race village – for which tickets started at £25 per day – was more than double the size. Occupying the entire point around Southsea Castle, the grandstand, VIP area, food, merchandising and fun areas were very busy and nicely laid out. The rest of Southsea Common was left unfenced and unticketed and seemed much less busy than 2015. 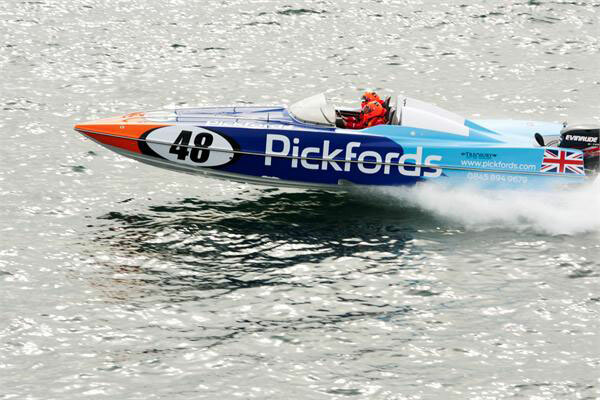 Some of the closest high-speed action seen so far in the World Series at the 2016 Portsmouth America's Cupevent . Unfortunately, the commentary on the loudspeakers, care of the usually safe team of Andy Green and Tucker Thompson, was well below par. Like cricket, there is a lot of "dead air" to fill, but the blunt, repetitive appeals to cheer Land Rover BAR just grated. Then, although they managed to cover up losing count of the number of laps in race two, they had to apologise for incorrectly adding up the points total throughout most of race three. 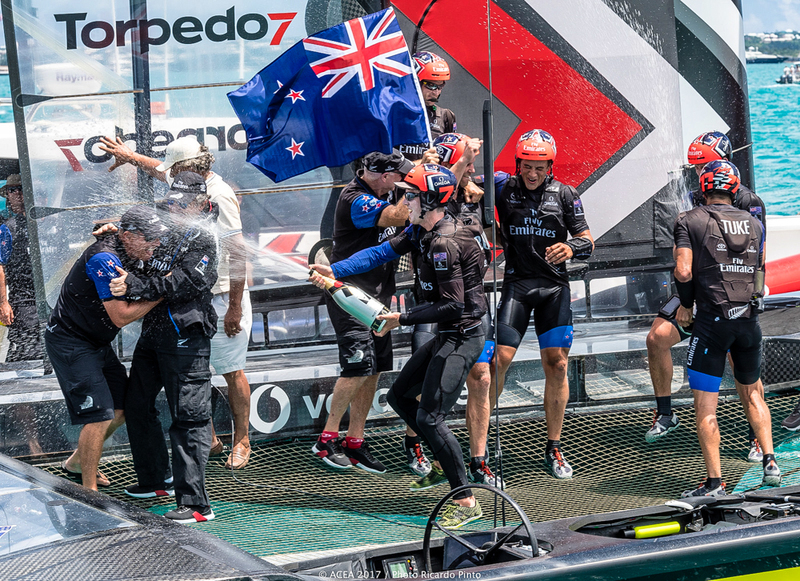 The announcement that Ainslie would, in fact, win the weekend by finishing the final race in second place brought one of the few spontaneous roars of support from the crowd. But it was also a groan of embarrassment. 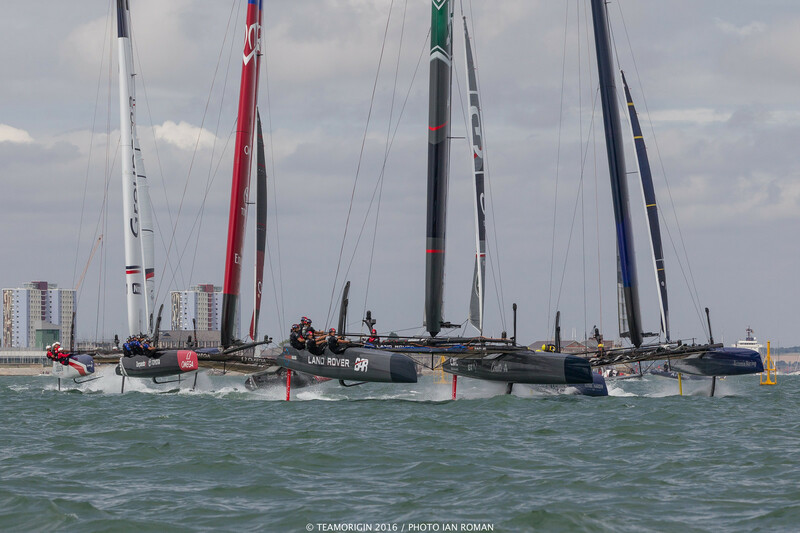 Thankfully, Ainslie appeared to have his wits about him – eking out the gap between his boat and those behind, while staying clear of Oracle Team USA in front. 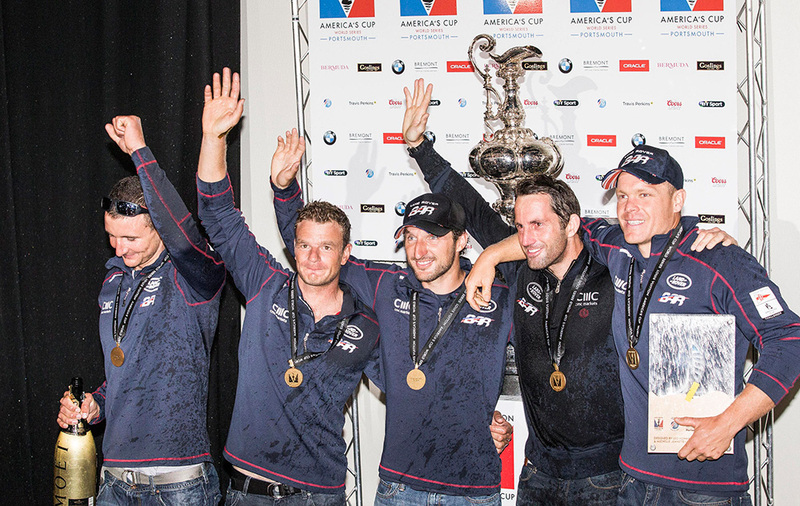 Ainslie made some great starts but the entire team came through to see off the rest of the fleet. It's a credit to the point-scoring format that the series is still so tight at this late stage. 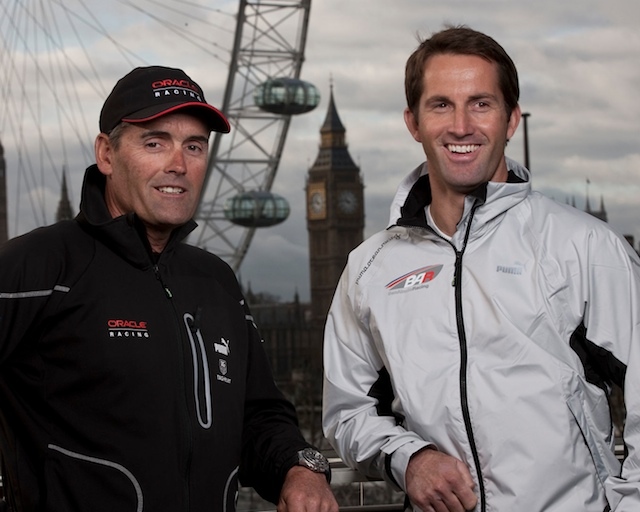 When Emirates Team New Zealand get their talented helmsman, Peter Burling, back from the Olympic Games, they will have two more weekends to catch up with Oracle and BAR. But what a shame we didn't see Spithill go for the jugular in that final race – tactical sailing at these hair-raising speeds will be an awesome spectacle. 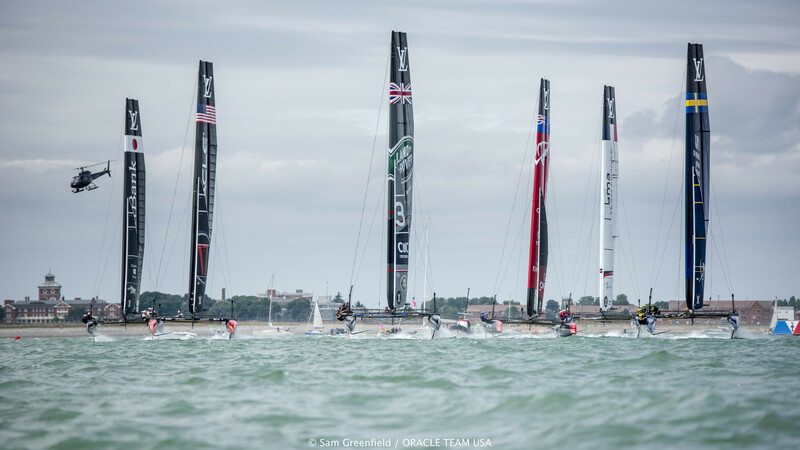 "We hit Ben every time we could, but we just couldn't push him back far enough to let a third boat through," commented the skipper of Oracle Team USA. 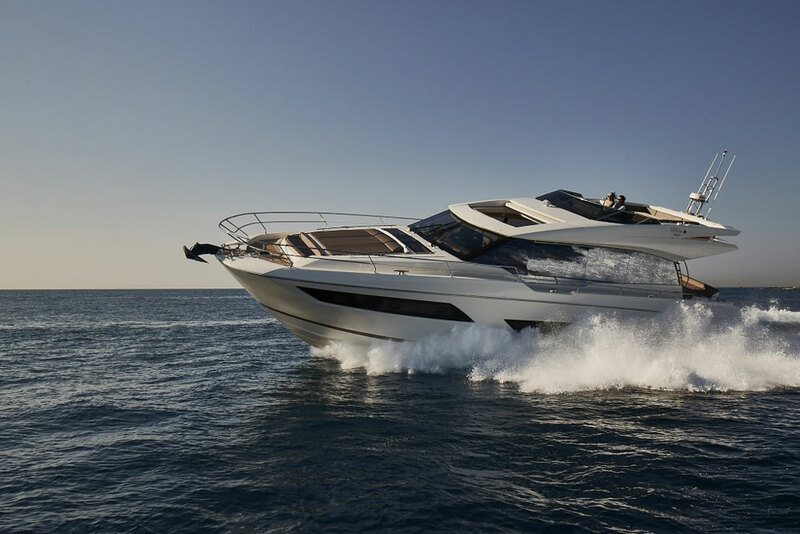 Nevertheless, as the competition draws to a close, there will be tussles, blocking and high-speed confrontations. No quarter given or expected. Next stop Toulon, France: September 9–11 followed by Tokyo November 18-20. The Challenger Series and final matches will be in Bermuda starting around 26 May through until the end of June 2017. Barring a complete collapse, or an extraordinary comeback, the America's Cup World Series points are going to be shared between the three boats on the right of this picture. For previous ACWS race reports, see: AC World Series: Artemis prevails in Bermuda and America’s Cup New York: big crowds both days.